In this issue: One of our founders, Roger Wu, recently visited Japan– including Tokyo, Kyoto, and some other cool places along the way. 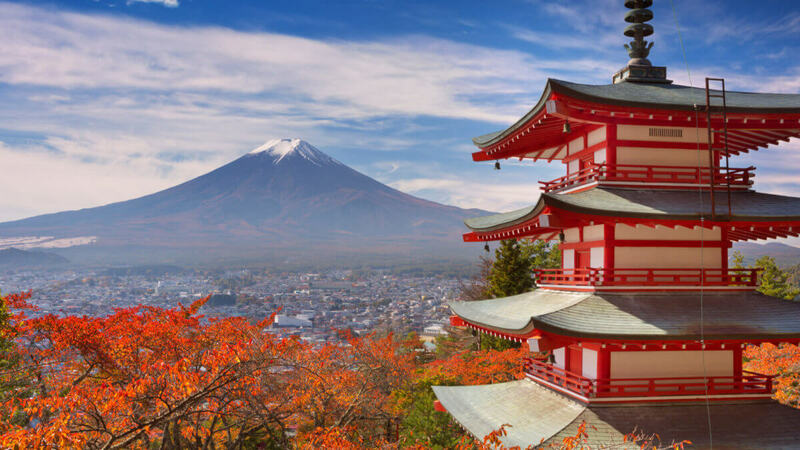 This 5-part series details his trip and provides some great things to do and key insights for those thinking of making Japan the next stop in their travels. The first location I visited is Tokyo, Japan. I traveled solo to Tokyo via China Eastern Airlines transferring in Shanghai, their hub. 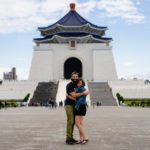 If you’re looking for an inexpensive, no frills, air experience, China Eastern is a good pick. Ensure that you leave yourself plenty of time though as the lines can get long and there doesn’t appear to be much remorse over missed flights or connections. On to Tokyo! 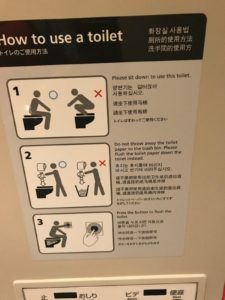 There are a few tips I realized would have been helpful for me to know prior to heading to Tokyo or even Japan for that matter. 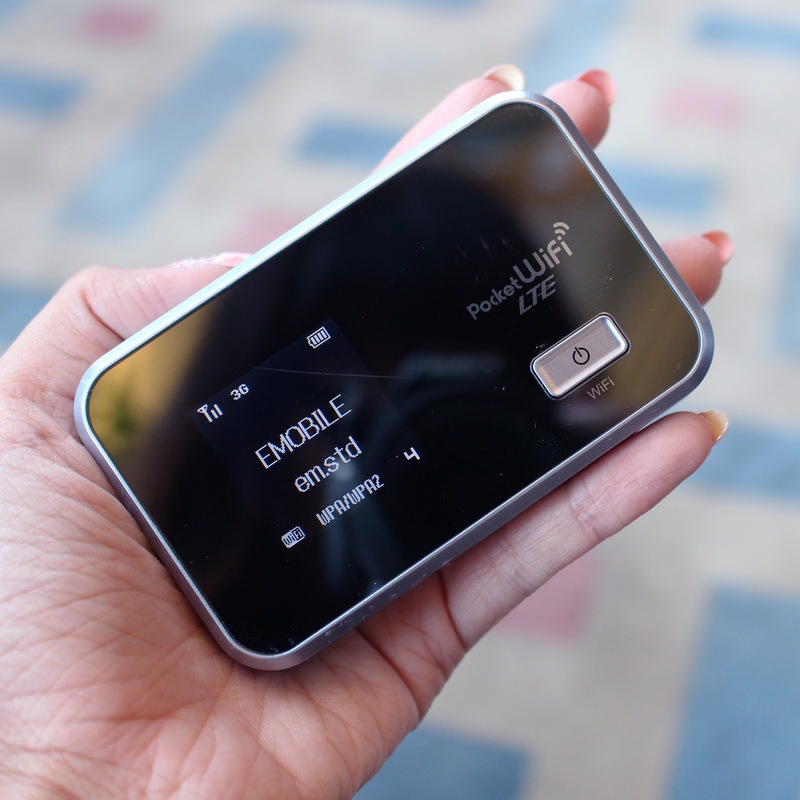 Connectivity for US travelers: Most wireless carriers provide some type of international coverage for around $10 a day. Verizon can give you limited service for $40 / month. 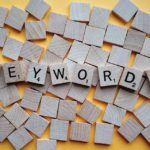 However depending on your carrier there are hidden fees, surcharges, and data limits. On top of that, there are places with free WiFi, but when you need it you can never find it. Language: Obviously you are going to Japan, where the typical person speaks Japanese and not English. Most things are written in Japanese and very few people speak English. (Tokyo has the most English speakers but even that is not as many as you might like. As you venture further from metropolitan areas to Kyoto, Osaka, and Hiroshima for example, less and less English is spoken.) To get the general gist of what someone is saying, download or update Google Translate and add the Japanese language pack. It’s not perfect, but you’ll be able to understand some of the basics, whether it’s written, spoken, or in conversation. (I had an entire conversation with a salesperson at Tokyu Hands, a convenience store, using Google translate). You can also hold your phone to words that you might not know and it uses augmented reality to translate for you on the fly. This even works with handwriting. The translations are not perfect because they are word for word translations where as much of Asian languages are about the set or group of words, but if you can understand that a “hand call” is a mobile phone, that’s pretty good. Bring cash! There are more places that take credit card but the subway, coffee shops, convenience stores, and local stores still are cash only. Even those that do take credit card often only accept Japanese credit cards, Line Pay or Ali Pay, as the transaction fee for these vendors to pay American credit card companies is quite high. you can also use at the vending machine and gives you a discount on each ride you take. From what I’ve seen the smallest bill denomination is 1000 yen, so if you tend to lose change like I do, every time you are near a subway stop, put your spare change on your PASMO. 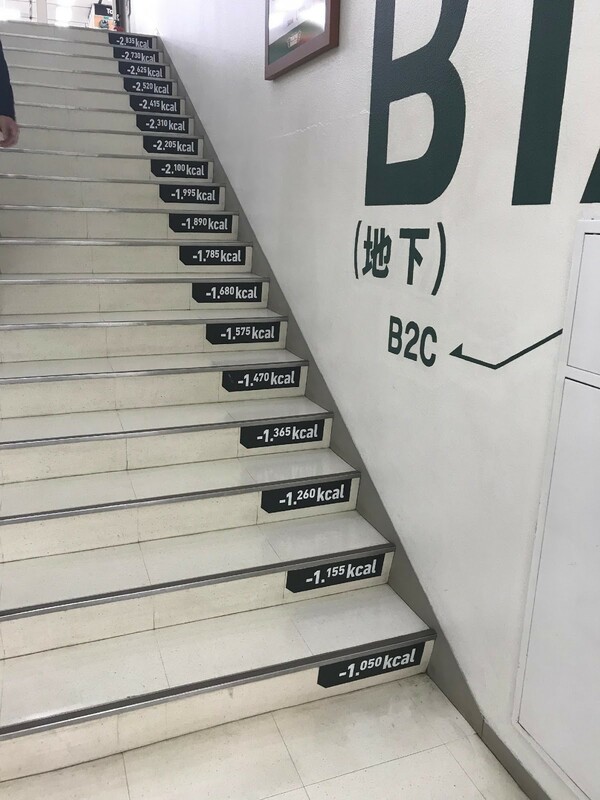 Efficiency: There are a ton of signs everywhere that not only make sure you don’t get lost, but also serve to motivate you. Within the subway, every sign tells you the exact distance toward the platform. So as you are walking you see yourself making progress. Even at the gym there are signs that tell you when a piece of equipment will be available, so you don’t have to wait for it. 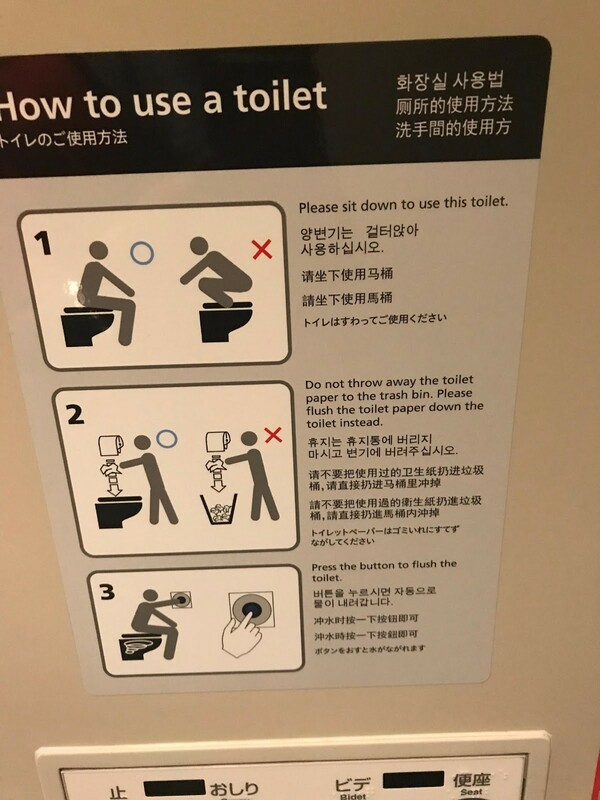 There’s even a sign that teaches you how to use a toilet. Even some umbrella stands let you lock up your umbrella when you enter the store, so you can find it easier (and leads to less “umbrella errors”). What I found interesting is the business models are also very efficient which could be to a business’ detriment. For example, you pay as much as you ride on the subway, since fares are determined by distance. Also, many things are time-based. Animal cafes (more on that later) fall into this category for example.The Cat Cafés are normally about 200 yen per ten minutes. So if you only stay there for half hour you pay 600 yen (about $5.50). Weather: I came during rainy season and like most island countries in the Pacific, rain + heat = humidity. There were many days when I sweated right through my clothes. There were also many days that I was drenched by one of the downours. Most places will lend you an umbrella but I would still bring a raincoat. This time around whilst visiting Western Japan, there was actually a flood watch, which was unprecedented, and when I returned back to Tokyo there was an phrases. So my luck with weather and Mother Nature wasn’t too great in Japan. I did do laundry twice while in Japan with a coin-operated washer and dryer that was in the hotel. The dryers are pretty bad; even with two cycles, my clothes were still wet. I did wear my Bluffworks sport jacket, ex-officio underwear, and ScotteVest jacket that helped me mitigate washing too often. 1) Where can I get something to drink? 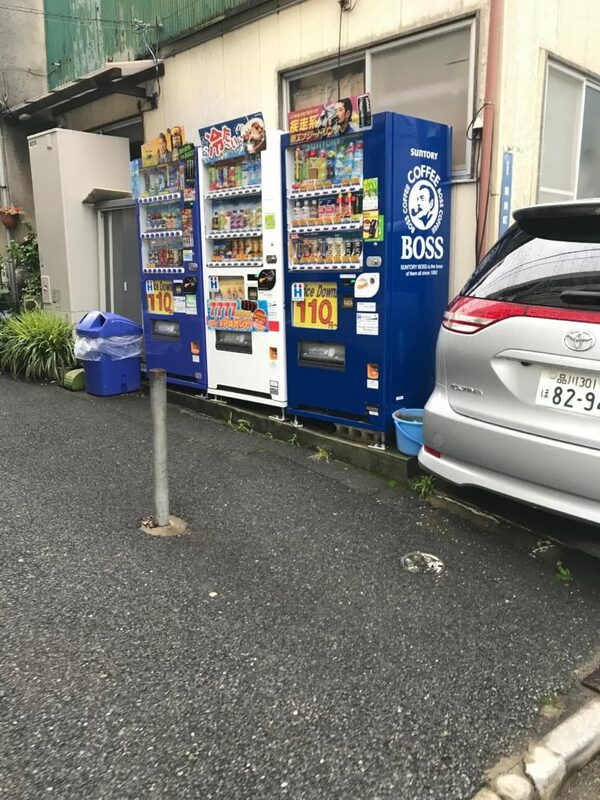 There are 5 million vending machines in Tokyo (for a city of 15 million). They are everywhere from shrines, to on the side of mountains, to dark desolate alleyways, selling anything from beer to tea to soda, hot or iced. The machines can also be operated remotely for emergency management. You can use coins, bills, or your PASMO / IC card and a drink can cost anywhere from 100 yen to 200 yen. Never go thirsty again! Toilets: If there are 5 million vending machines, how many toilets are there? Every few steps you’ll see a public toilet, but not THAT kind of public toilet. The public toilets in Japan are top of the line; not only high tech, but immaculately clean. Heated, self-flushing, self-lifting, bidet; everything imaginable in toilet technology is here. There was even one I used that had a white noise maker in it when it sensed there was some weight on the toilet seat to cover any kind of noises that might be made. Of course, in some places you’ll find the traditional squat toilet, but if that’s not for you, there’s always another toilet around the corner. 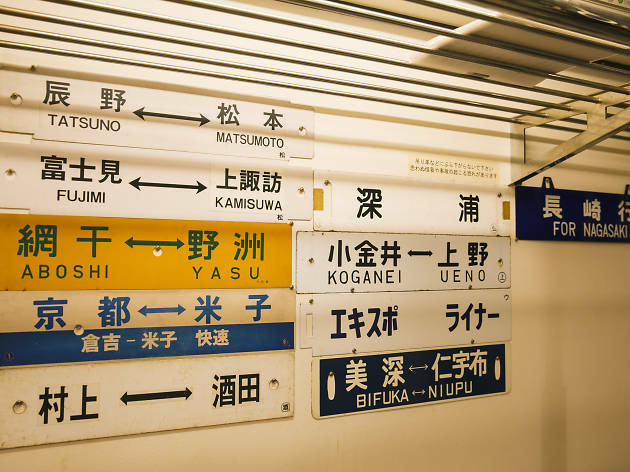 Within Tokyo: The Tokyo Subway and Japan Railway systems are amazing. You can get anywhere very quickly and on time. The train runs like clockwork and some rides are less than $1. The only downfall is that it stops running at sometime around midnight and doesn’t start up again until 5 or 6AM. (There are options for when you get stranded, more on that later). Taxis in Tokyo are prohibitively expensive compared to the train, but if you are stuck it might be your only option. From Narita airport a taxi will cost you $200+ and the train is about $15; the ride is about an hour. From Haneda you can get right on a regional train to take you straight into the city in 20-30 minutes. For New Yorkers, think of Narita like JFK (maybe not as bad), and Haneda like Newark. If you can avoid traveling at rush hour, do so, the trains are more packed than an NYC subway car, and people are willing to move all the way in, so there’s really no hiding spot away from the doors. Within Japan: If you plan on going outside of Tokyo, depending on where you are going, outside of the radius of Kyoto, it may be worth picking up a JR Pass. The JR Pass is around $300. If you pre-order, it might be $270, but if you aren’t sure, like I was, you pay about a 10% premium to buy one at Tokyo Station. This gives you unlimited access to all of the JR lines in Japan including the Shinkansen, the high-speed bullet train, which goes from Tokyo to Hiroshima in about 4 hours (600 miles). You can buy a 7, 14, or 30-day pass. It is worth noting that the pass is good for 7 days (in whole days). So if you activate on the first you’ll have the pass until the 7th at midnight. Also the JR Pass works on all JR trains, so once you are back from your excursion, you can still use it on JR trains in Tokyo (not on the subway). 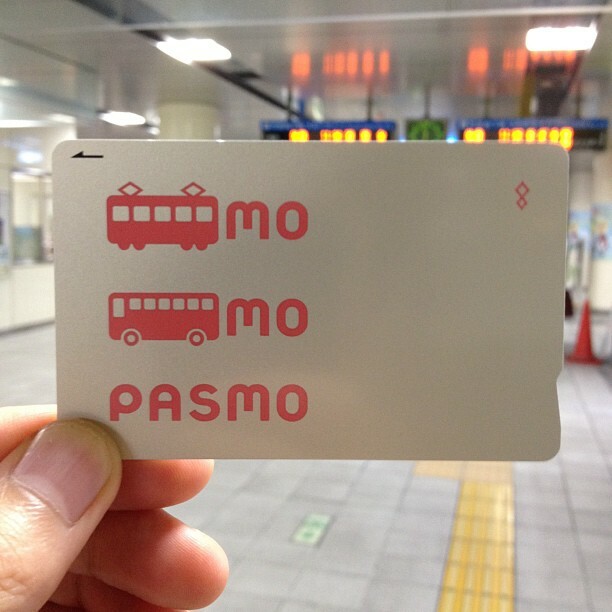 To repeat, make sure you get a PASMO or IC card. They are good throughout most of Japan including Tokyo, Kyoto, Yokohama and most of the major cities. When you are done, you can return the card for your initial 500 yen deposit and whatever is left on it. One last thing about the trains: If you are a huge fan of trains, there is a train café, called Kiha in Nihonbashi. Serving sake and canned food, you are invited to hold one of four handholds above the bar, which recreate a Tokyo Metro experience. 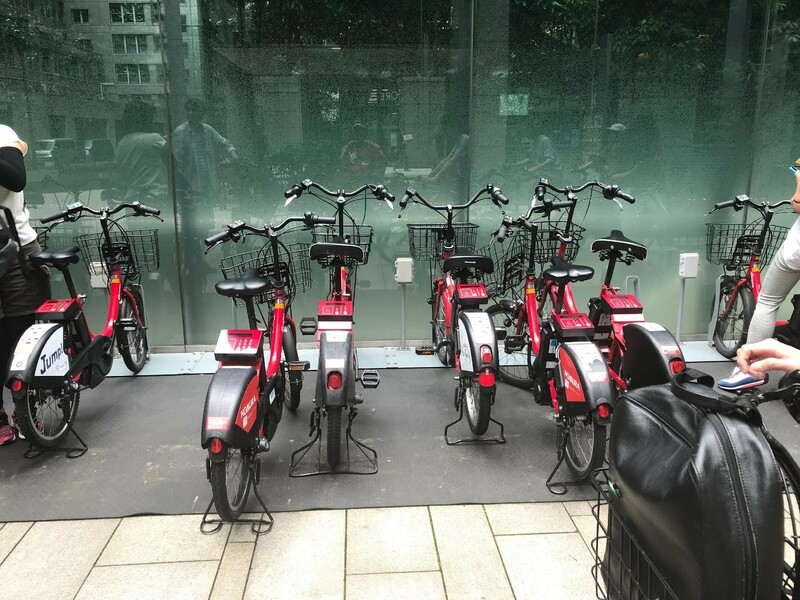 Within the city, there’s also a bike share sponsored by NTT DoCoMo. First, you need to register for an account and put your credit card in. Then go to the station map, where you can download all the station pins onto your Google Maps. -Find a bike; there are kids’ bikes and adult bikes so find one that you can ride. Click on the power button on the right handle bar. You’ll see a number from 0 to FL (FL meaning ‘full’). This is the amount of power left in the pedal assist feature, which is pretty nice especially for going up hills or just general pedaling around town. – Once you have both of these you’ll receive an onscreen four-digit code, which lets you unlock the bike. Keep the code handy in case you want to park or stop anywhere and feel the need to lock up. – Upon returning the bike, find a docking spot, park it, lock it, and hit end. (Once I forgot to lock it, I just hit end and was charged another 20 minutes!). – The cost is 150 yen for the first half hour and 100 yen each additional 30 minutes. An hour of biking for about $2! Finally, Tokyo (and Kyoto and Hiroshima) is a walking city. I averaged 12.2 miles per day. You learn a lot about a place by walking! That’s it for Part 1! Stay tuned in the coming weeks for additional installments!